In an earlier post, I highlighted two trails leading to a pair of lake basins at the headwaters of the South Fork of the Sacramento River. Though the South Fork is accessed via a paved road, these trails are not heavily used. Ironically, the road traveling up the South Fork canyon provides access to another pair of lake basins that see a bit more use, neither of which contributes water to the South Fork of the Sacramento. 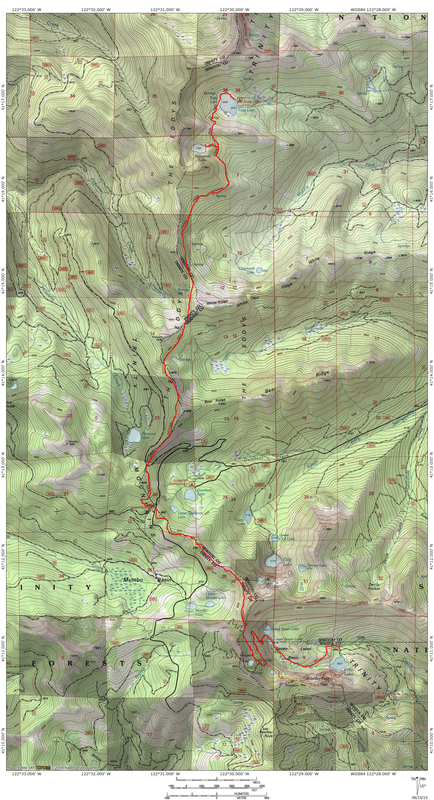 These trails are in fact sections of the Pacific Crest Trail, extending north and south from the trailhead at Gumboot Saddle, which marks the final extent of South Fork’s canyon. The northern section of the PCT follows the crest of the Trinity Divide to Porcupine Lake, which sits in an intimate, rocky cirque below the great pyramid of Porcupine Peak. Another mile beyond Porcupine Lake is Toad Lake, very different in character but still quite scenic. 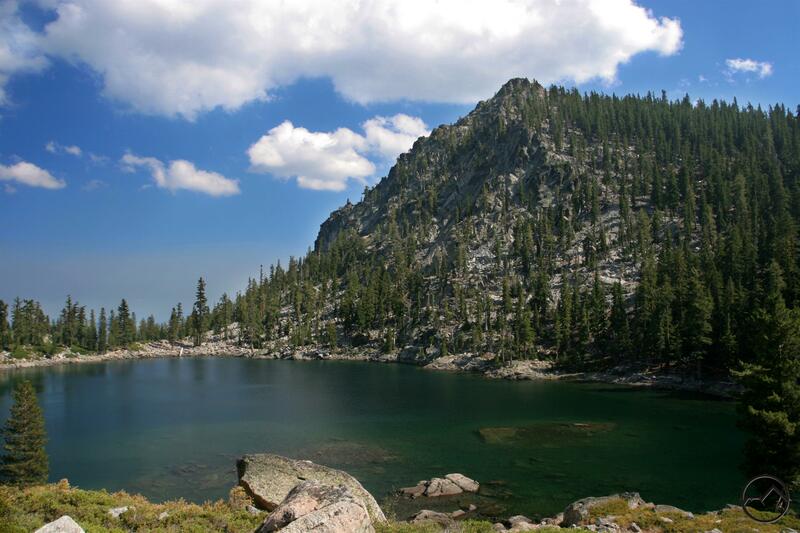 The southern section of the PCT quickly accesses the excellent Seven Lakes Basin. Side trails and an old dirt road split off of the PCT and provide routes to all of the beautiful lakes in the basin. 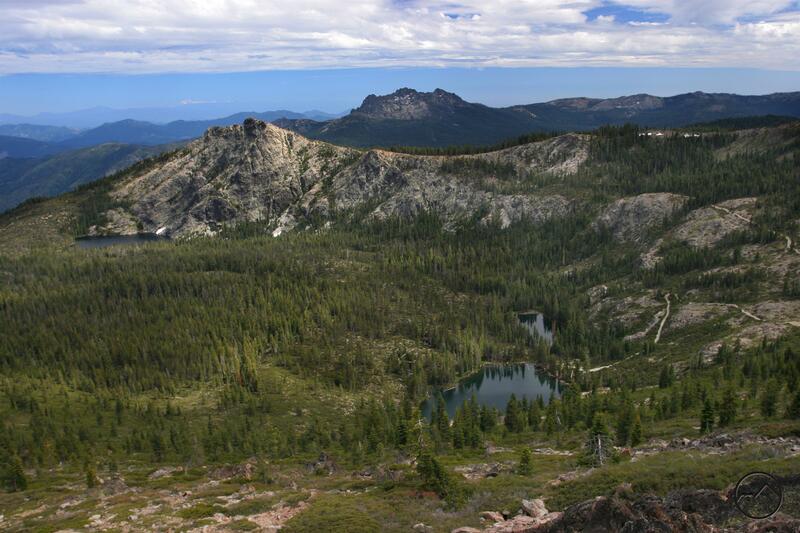 There is also an opportunity to climb Many Lakes Mountain, which has one of the finest views anywhere in Northern California. The Seven Lakes Basin and Porcupine Lake are two of the prettiest spots in the Mount Shasta area. Both boast cool, clear lakes, great views and awesome, rocky cliffs composed of gneiss. Toad Lake, near Porcupine, is also very scenic but is not in the same class as its smaller neighbor (it is still worth the hike in to it!). 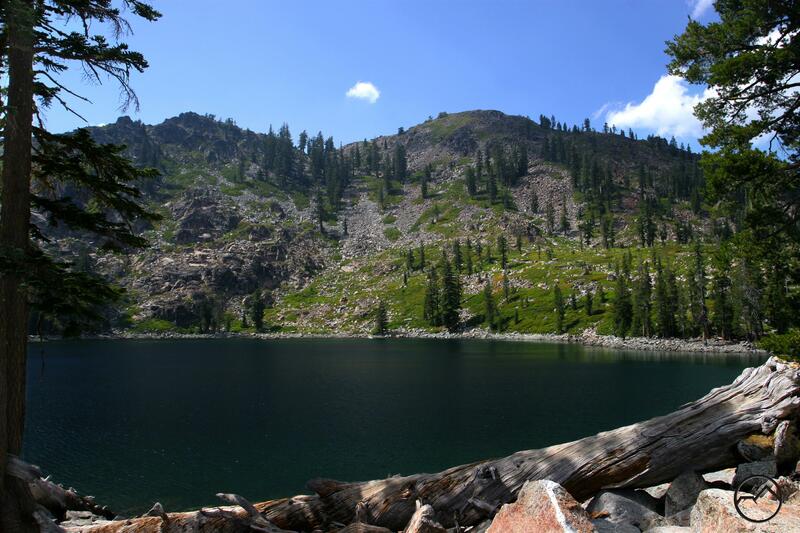 If I had to pick one hike as the superior, I would choose the trip to the Seven Lakes Basin. It has excellent views of the Mount Shasta area and the Trinity Alps. 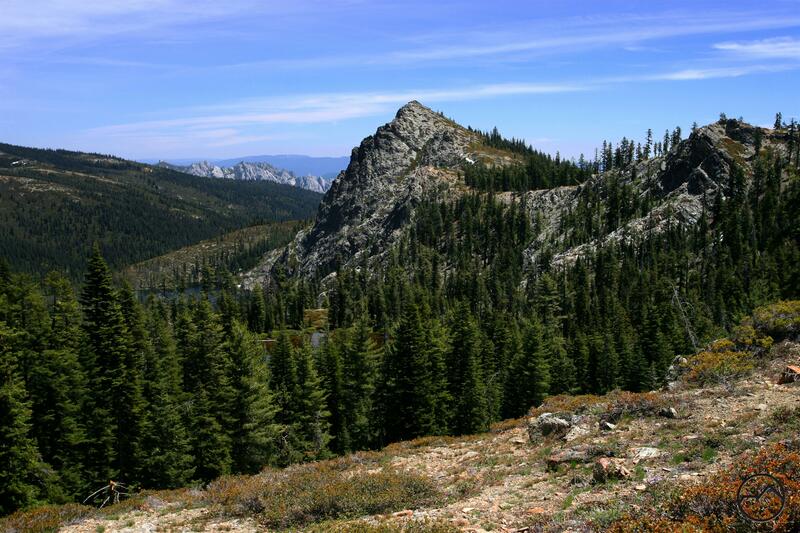 The hike to the Seven Lakes Basin also has more destinations and more options for exploration. This includes scrambles up both Many Lakes Mountain and Boulder Peak. The basin is also large enough to absorb lots of hikers without feeling crowded. While the Seven Lakes may be the better hike over all, Porcupine Lake is the prettiest of all the lakes accessed via the PCT from the Gumboot trailhead. The lake is fairly large and almost completely encircled in a rocky bowl. Only the east side is unenclosed and it has great views of Mount Shasta. The two trails departing from the Gumboot Trailhead are among the longer day hikes in the Mount Shasta area. Both are frequently used as backpacking destinations. Since the Pacific Crest Trail provides entry to both lake basins there is already a built in expectation that one will see other people on the trail. Couple the through-hikers with those eager to hike great trails without having to drive dirt roads and you have one of the busier trailheads in the Mount Shasta area. Don’t let this be a discouragement. Busy by Mount Shasta standards is still lightly used by the crowd expectations in other areas. The Castle Crags, Boulder Peak and two of the seven lakes. The Seven Lakes Basin constitutes the headwaters of the main fork of Castle Creek. The creek drains the area immediately to the south of the Castle Crags, which are visible from parts of the basin. Castle Creek is the largest of the tributaries that feed into the Sacramento River after the river leaves Lake Siskiyou. The trail to the basin is one of the most scenic in the entire Mount Shasta area. For little effort, the trail provides excellent views of Mount Shasta, the Trinity Alps and the Mumbo Lakes. An off trail scramble up Many Lakes Mountain yields one of the finest vistas anywhere in the Northstate, taking in the aforementioned sites and adding the Cliff Lakes, the Seven Lakes Basin, the mighty Grey Rocks, and almost all of the Lassen area, as well as reaching as far north as Mount McLoughlin in Oregon. In all honesty, it would probably be more accurate to rename the basin the Six Lakes Basin. One of the lakes is more like a pond on not nearly on the same level as the other lakes. Of the remaining six, only three are deep lakes. This does not mean the other three are not highly scenic, only that if swimming is what one has in mind, head to Upper and Lower Seven Lakes and Echo Lake. Part of Echo Lake is on private land, so please be sensitive to the property owners. Following the PCT north from Gumboot Saddle to Porcupine and Toad Lakes is a fantastic hike with a high scenic factor. The trail maintains a fairly level grade so even though it is over 5 miles to Porcupine Lake, it does not feel like a tremendous effort has been expended. Along the way, the path scallops across the headwalls of both Fawn Creek Canyon and the Middle Fork of the Sacramento River Canyon. There are some good views toward the Trinity Alps in the west but most of the best views are toward Mount Shasta in the east. On particularly scenic spot comes along the rim of the Middle Fork Canyon, where a large complex of springs produces a large flower filled meadow. The grassy swale makes a great foreground for views of Mount Shasta. Finally arriving at Porcupine Lake, one is treated to one of the prettiest lakes in the Trinity Divide. The bowl is rocky and almost completely encircles the lake. The south side of the lake is dominated by the towering Porcupine Peak, a summit visible from the Mount Shasta City area. The north side has some fine peaks that are worth the scramble to the summit as well. Interestingly, Porcupine Lake has no outlet. Its waters seep underground and emerge as a spring down canyon. Nearby Toad Lake is not as scenic but is much larger and still very attractive. It is worth the extra effort to reach the lake, especially if one is spending the night at Porcupine Lake. Wow – Porcupine Lake is truly gorgeous! I’ve read a number of articles about hiking in the Pacific Northwest and they say the mosquitoes and flies can be a real problem. Any truth to that in your area? I remember car camping with my family from Anchorage all the way down the Al-Can Highway back in ’67 and mosquitoes were a nightmare. Nothing like mosquitoes and/or chiggers to put a damper on things. It is true that the PNW does have some pretty horrendous mosquito hordes. I think that that is true at any mountain area that has a lot of lakes but I think it is worse in areas were the lakes are generally shallower like those found in the Oregon Cascades. Fortunately, the squiters aren’t bad in the Shasta area. They can be a bit pesky for a little while but then that is the end of it. I hiked into the Bear Lakes in the Trinity Alps a couple of days ago and I do not think I encountered a single mosquito. If you want a little further north to, say, the Sky Lakes Wilderness in Oregon, I assure you that the hordes of the little monsters would have been discouraging. In places where they are bad, they are typically gone by mid-to late July. That’s one thing I do like about hiking in New Mexico, at least in the places I have been, is there are no mosquitoes. Had to deal with a few pesky flies when I went backpacking in San Pedro Parks, but no mosquitoes. And thank god there are no chiggers out here! We have tics here but no chiggers and no noseeums. I hate squiters. Hello, Do you or anyone by chance have information on current conditions and access of these two areas? I am interested in backcountry camping Labor Day Weekend in either or both areas – or simply camping at Gumboot Lake and doing day hikes. Going with my family including 7 year old son, but he is a trooper and great hiker, and these hikes don’t sound tremendously strenuous. Also wondering if we arrive at Gumboot Lake Friday afternoon – given the busy Labor Day weekend if there are no available spots at Gumboot, how far in might there be adequate camping spots in the backcountry (in either direction.) Any thoughts on current conditions and/or backcountry camping feedback would be greatly appreciated!! As of now, all trails in the Mount Shasta area are open. It is unlikely you will get a spot at Gumboot when you describe, though anything is possible. There are many places where you can camp along the Sacramento River between Gumboot and Lake Siskiyou. It is unlikely that every spot will be taken. You can also go above Gumboot Lake and camp at or around Mumbo Lake. Thanks so much for your quick response, this is super helpful and love your site! 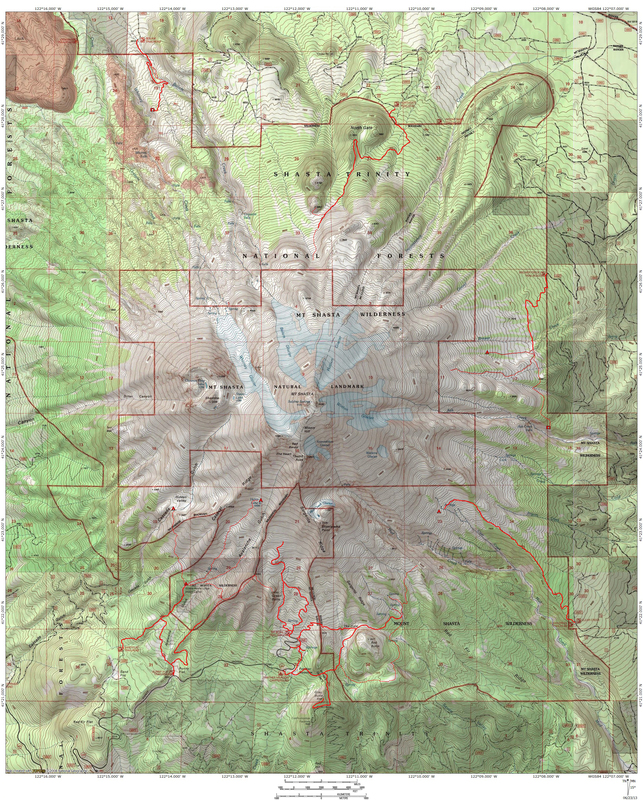 A few other questions if possible… are you aware if there are decent backcountry camping spots around Upper and Lower Seven Lakes and/or Echo Lake? Or camping around Porcipine and/or Toad Lakes? And lastly, the road that leads straight towards Toad Lake, does it require 4-wheel drive? Thank you!